On Wednesdays players are required to wear either club shirts or white shirts with either blue or white trousers/shorts/skirts. 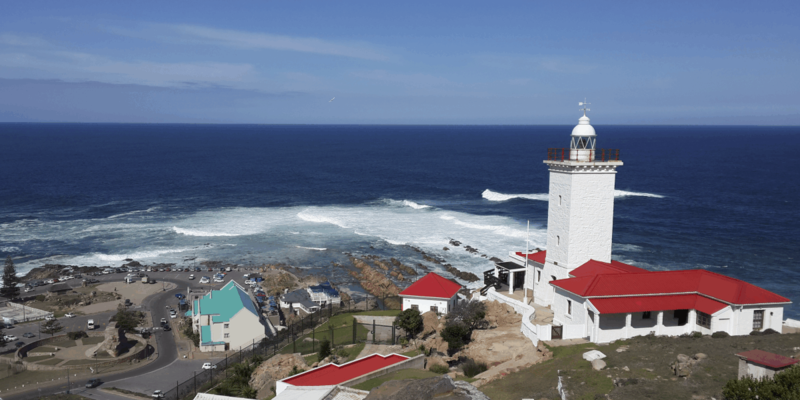 This is one of the reasons why we call Mossel Bay “home”. 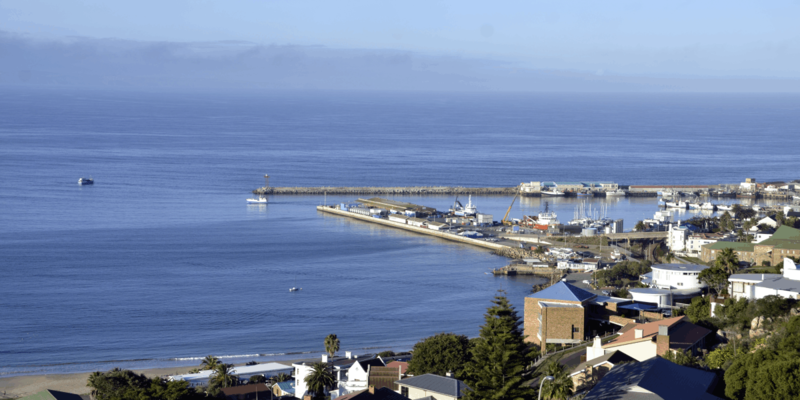 The view over Santos Beach and the harbour. Some of our junior bowlers in action. 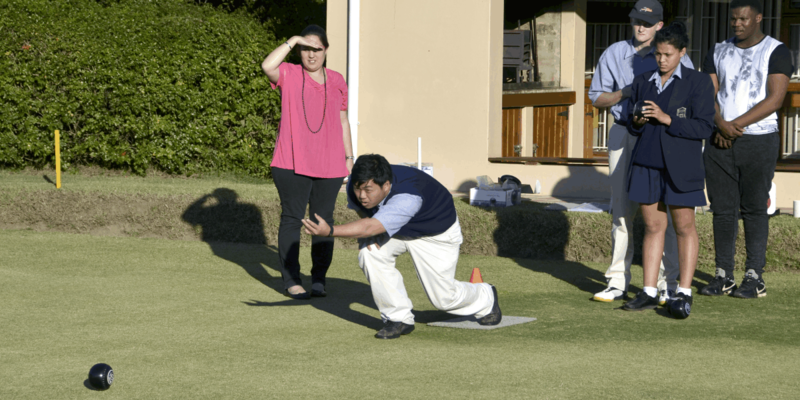 Singles games are a very serious business with fierce competition. A view of the clubhouse from across the Founders Green. 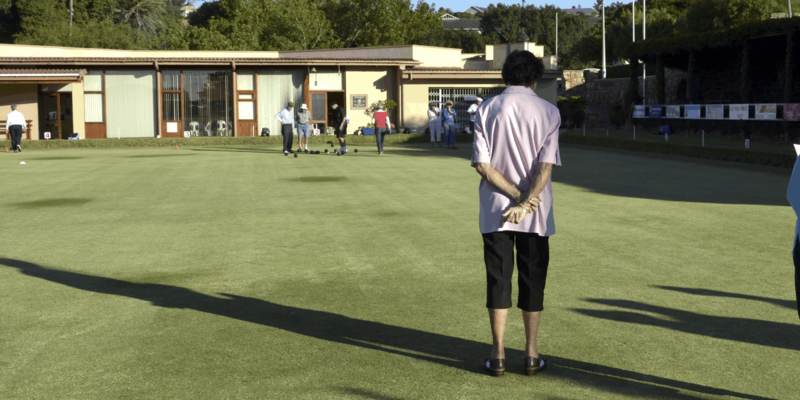 We welcome visitors to join us for a game of social bowls on any of the club days. 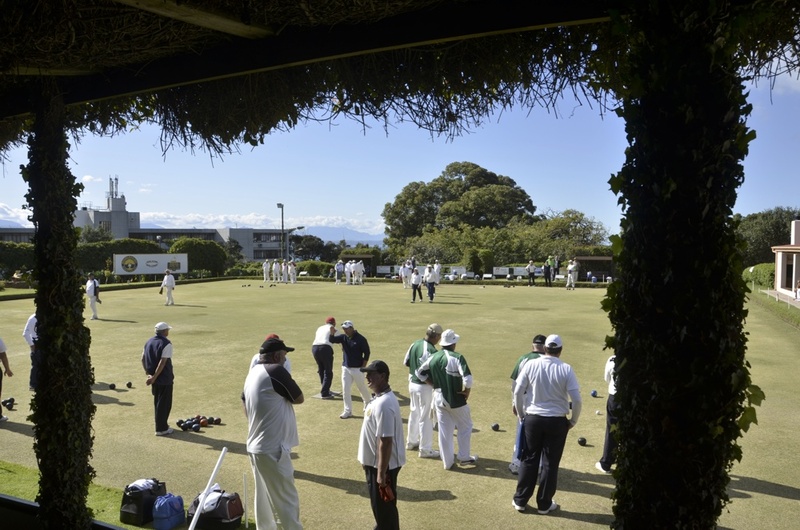 Situated right in the heart of our beautiful town, the Mossel Bay Bowls Club is inside the historic Harry Giddey Park. Our two greens are unique in that they are terraced into the side of the hill alongside the steepest road in the town. This provides us with a lovely view over the bay as we enjoy a game of bowls. 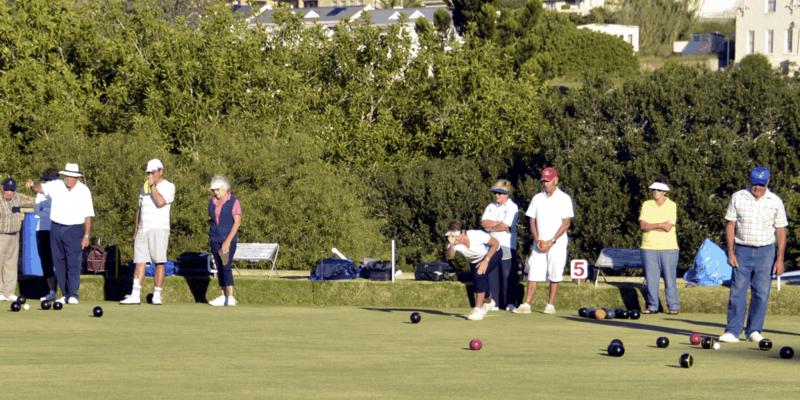 The town’s mild climate and low rainfall makes for ideal bowling weather throughout the year, so the club is well attended no matter the season. 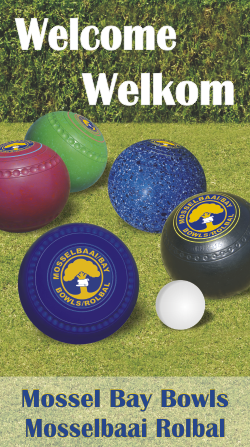 Visitors are most welcome to join us for a game and we also welcome tour groups of bowlers. 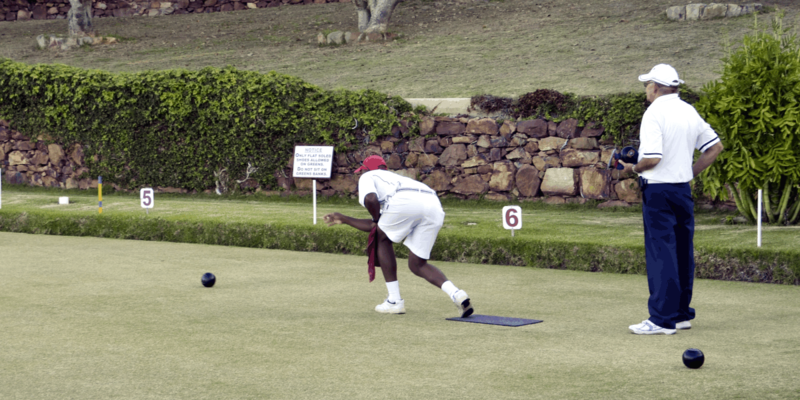 One of the main attractions on our bowling calendar is the Mossel Bay Classic which is hosted in July every year. This 3-day event has been run every year at our club since 1991, with 24 men’s teams competing over nine matches to decide the winner. 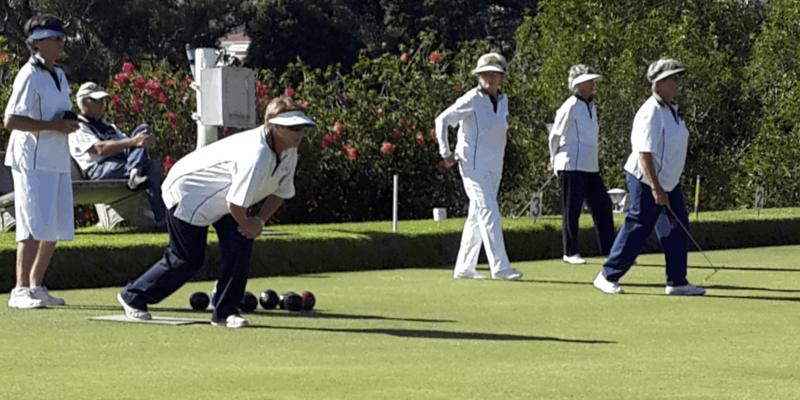 If you are new to the sport, click here to find out why bowls is so addictive and why you would feel at home at Mossel Bay Bowling Club.